This page contains resources for you to help you find what you are looking for. To visite sites related to this topic, you can either choose a category in the table below or check the list beneath the table. Webmasters: If you would like to submit your site to our Resource Directory please use our Submission Form. Resources provided in our resource directory are intended to provide our visitors with resources to related websites. Wildcrafted Herbal Products endevours to select only quality sites, however, Wildcrafted Herbal Products or anyone associated with Wildcrafted Herbal Products can not guarantee the ligitimacy of the sites listed or the quality of products or services. Wildcrafted Herbal Products does not endorse the products or services listed by third party sites in our directory. Skin care comes in many forms ranging from good nutrition and exercise to regular use of natural skin care products. It is vitally important to have a balanced approach to skin care. If you have not been able to find what you were looking for, than please try some of the resources listed on this page. Therapies, which include Traditional Chinese Medicine, Western Herbal Medicine, Acupuncture, Chinese Herbs, Remedial Massage, Body Realignment Therapy, Exercise Therapy, Aromatherapy and more. Natural skin care is of growing interest. Read articles on various aspects of skin care, natural ingredients used in natural skin care products and much more. 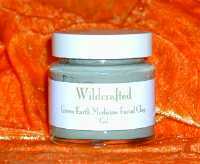 Stay up-to-date on News from Wildcrafted and Hints & Tips on Natural Skin Care. Natural Skin Care Products - Determine your skin type and choose the Natural Skin Care Products to suite you. 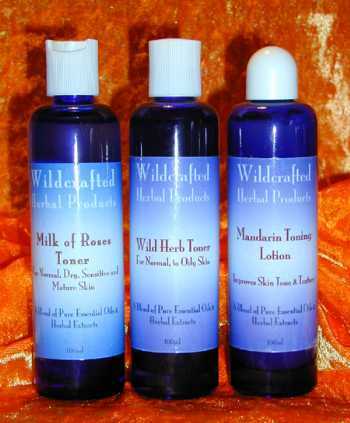 Wildcrafted Cottage: Herbal Skin and Personal Care Products - Wildcrafted Cottage provides the full range of Natural skin and personal care products from Wildcrafted Herbal Products. Come and visit our Wildcrafted Cottage at Kurrajong Village, NSW, Australia - we look forward to welcoming you to the Blue Mountains. Elysian Dream provides fragrance free natural products ranging from cleaning products to massage oils and many other goodies. Well worth a look! 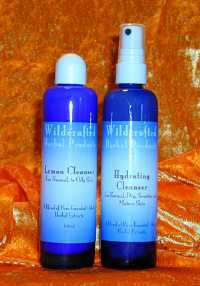 Herbal Luxuries your on-line store for natural hair, body, healthy skin care, products and treatments. Hand Blended Bath and Body Products, All Natural Skin Care, Beauty, Anti-ging Products, Soap, Bath Accessories, Gift Baskets,Teddy Bears, Candles and more. Alternative Medicine covers a very wide range of therapies and modalities. Arguably the primary disciplines in Alternative Medicine are Herbal Medicine and Tradiational Chinese Medicine. There are several other forms of therapey including Remedial Massage, Homeopathy, to name but a few. 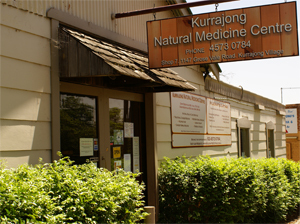 Australian Traditional Medicine Society - This is Australia's largest Alternative medicine association. It has members in Australia and Internationally. ATMS covers a wide range of practices such as Acupuncture, Herbal Medicine, Hoemeopathy, Chinese Medicine, Massage, Aromatherapy and many others. 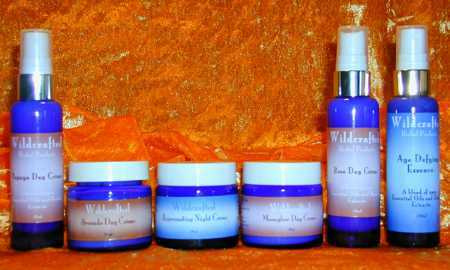 Natural Skin Care Products from Wildcrafted Herbal Products : Wildcrafted Herbal Products make Natural Skin Care, Natural Cosmetics, Personal Care and Therapeutic Products, using herbal extracts and essential oils according to Aromatherapy principles. Spiritual Sky Incense, Scented Oils, Cones - complete selection of incense, scented oils, cone incense, natural soap, lip balm, luxurious scented gifts and inspirational living. 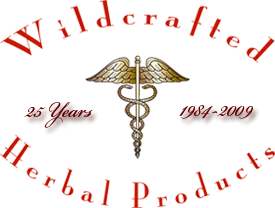 Offers wholesale price on all Products, Stores, Ailment, New Arrival Products and Brands. A comprehensive guide to day, stay, and wellness travel. Popular free newsletters profile spa specials and at home tips and ideas, spa cuisine, spa events, and more. Offers a variety of natural hair care, body and skin products made from natural and organic ingredients. Anti-aging and acne products for all skin types. About Faces Cosmetic Surgery is a state of the art cosmetic surgery practice specializing in facial plastic surgery and mesotherapy for weight loss. Traditionally handcrafted natural bath and body products, tropical bath crystals, scented floating candles, calendars and gift baskets from Hawaii. A free and informative resource for those with a spinal cord injury or other disabling injury or disease of the spine. Provides health information and resources for spinal cord injuries and a list of related links with site descriptions. WWF - The World Wildlife Fund for Nature is an on-the-ground hands on organisation involved in the conservation of the natural environment and its inhabitants. The Australian Conservation Foundation - ACF is a non-profit, membership-based environment group, which takes a solution-oriented approach to environmental issues, and seek to form partnerships with community groups, governments and business to achieve ecologically sustainable outcomes. SHG Resources - Your Guide to US States - Profiles data, sorted by topics and US states such as state agencies, colleges, education, economy, government, history, media, symbols, statistics, facts, and figures. Webspirit New Age Resources - New Age Spiritual and Personal Growth Resource. EBooks for free download and purchase. Topics include Personal Transformation, How To, Alternative and Natural Healing, Contemplation and Inspiration, Internet Marketing, EBooks, Music and more great titles added all the time. Brazil Botanicals is dedicated to bring to you the very best health supporting products. Brazil Botanicals is the exclusive online distributor for Dr. Tim’s unique health supporting products such as Acai, Goji, Mangosteen and Noni.